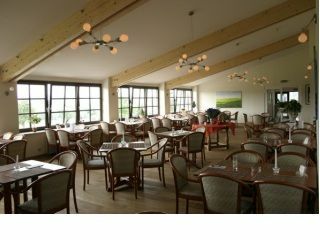 Our peaceful hotel comprises 10 rooms and Mergelhof lying on the golf course. In the heart of the resort Euroregion you can enjoy the beautiful surroundings. To play on the 18 hole course is off. Hcp 35 demanded by the week and Hcp 34 in the W-E. With CFP can play three job on our beautiful 9 Holes par. Even beginners can play on this track. Single 40,00 Eur incl. 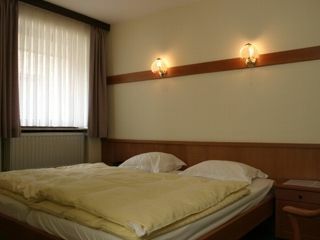 Breakfast - Double room 60,00 Eur incl. breakfast. Green fee 18 Holes discount - 10,00 Eur per fee. Check in from 14.00 clock / Check out before 11.00 clock.